Spanish Foreign Minister Josep Borrell said he welcomed Russian Foreign Minister Sergei Lavrov's proposal for a collaborative effort "to gauge the extent of the problem and analyze it to prevent it from becoming a source of friction." 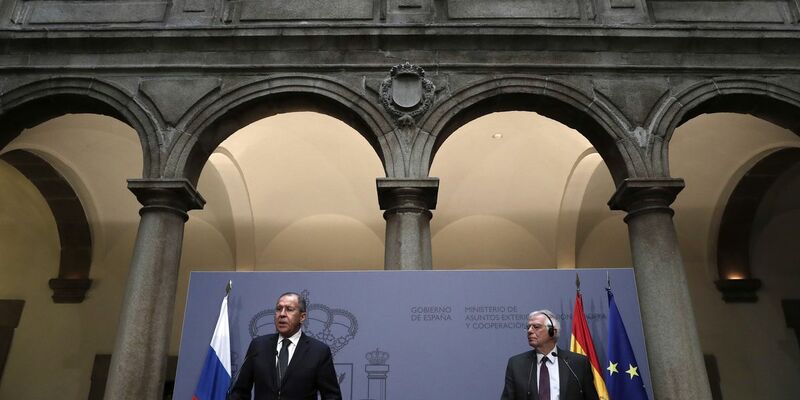 Lavrov said in Madrid on Tuesday he discussed with Borrell how "some Russian mass media go beyond the limits of their professional activity and create inadmissible interference in other countries' issues." Spanish officials have alleged that a misinformation campaign mainly initiated in Russia was partially to blame for instability in Spain's Catalonia region.